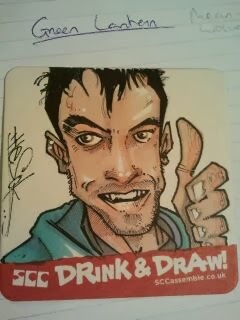 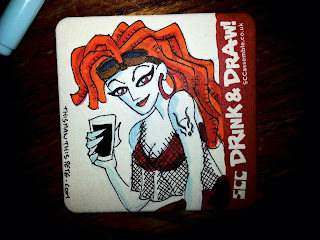 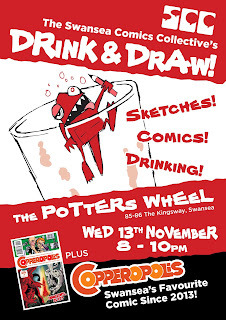 Last night Adam, Pete, Sok, Ricky, Lawrence, "I ain't doin' your stinkin' beermats" Tranter and eventually Lee "I thought it was tomorrow" Phillips took over the raised level of the Potters Wheel in Swansea for our first Drink and Draw. 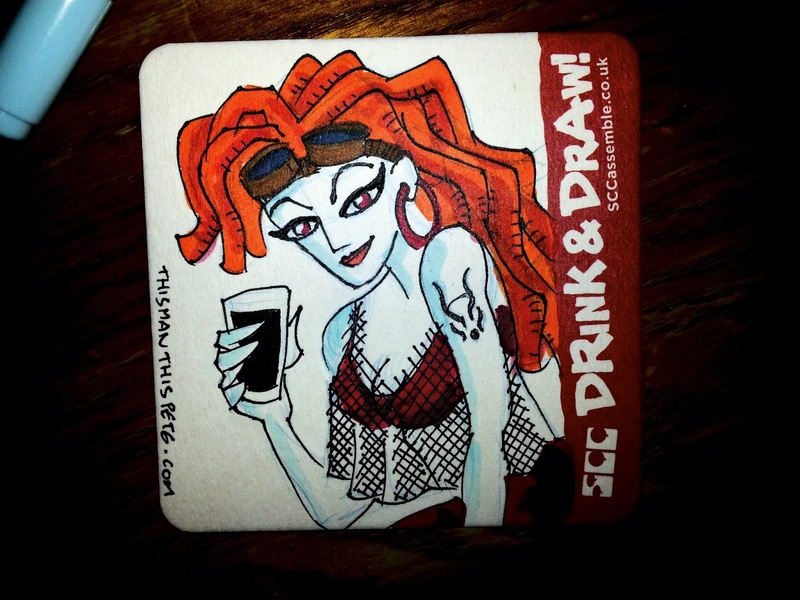 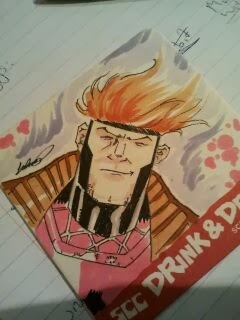 From the moment that the event started until way past our advertised finish time our artists didn't stop drawing, or drinking, so here are the results of this booze fuelled sketchathon. 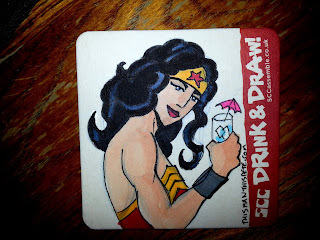 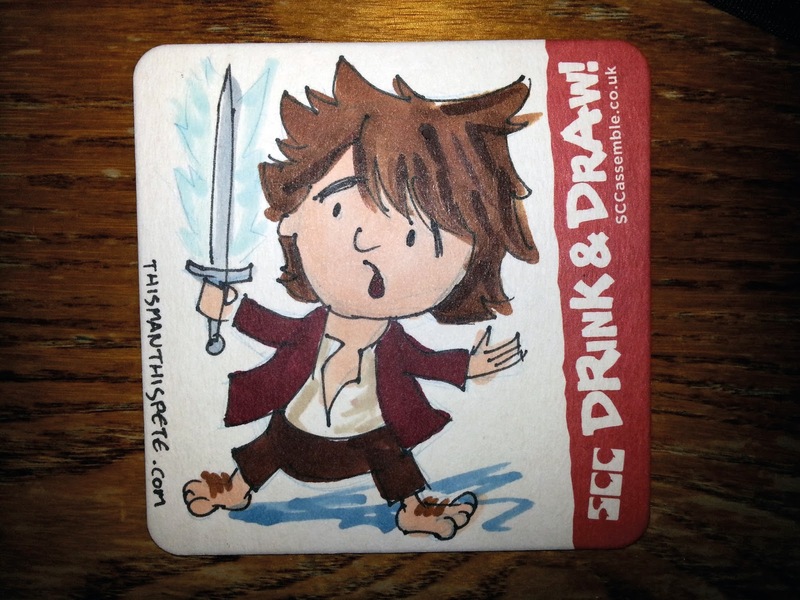 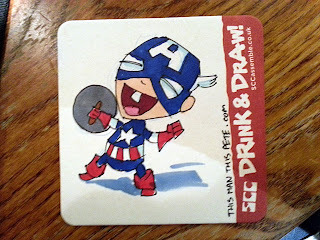 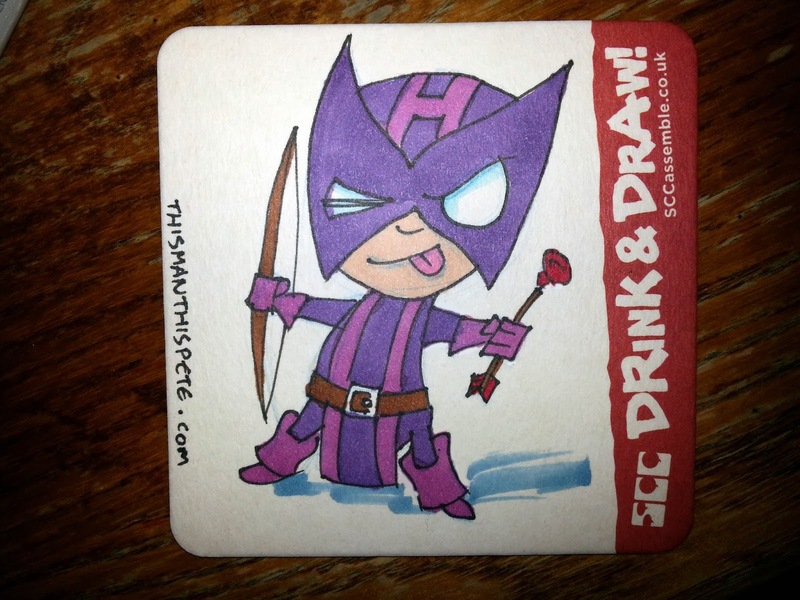 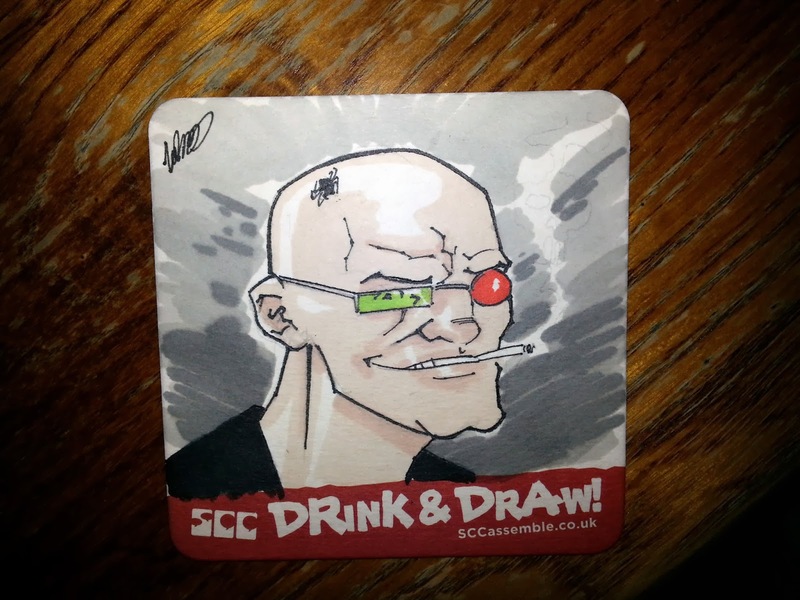 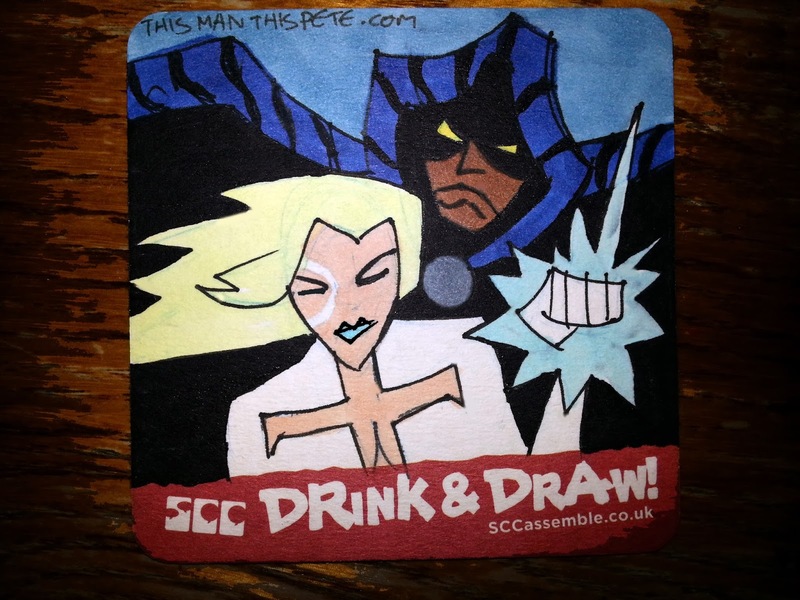 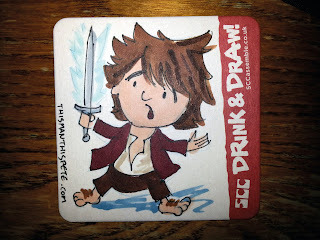 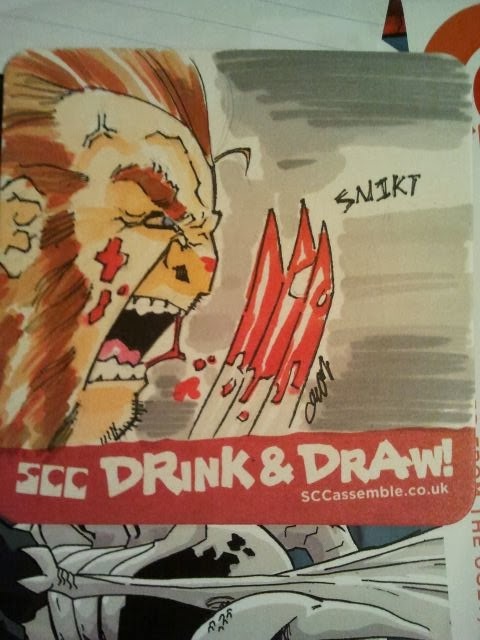 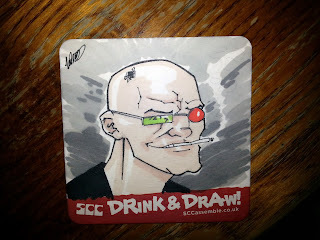 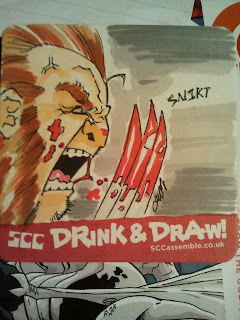 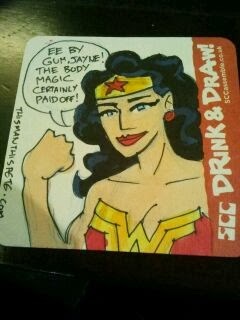 Thank you to the Potters Wheel and the Staff for allowing us to use the space, and thank you to all the people who attended and made this Drink and Draw a massive success (so much so Pete and Tranter have homework) with your purchases of Sketches and Comics. 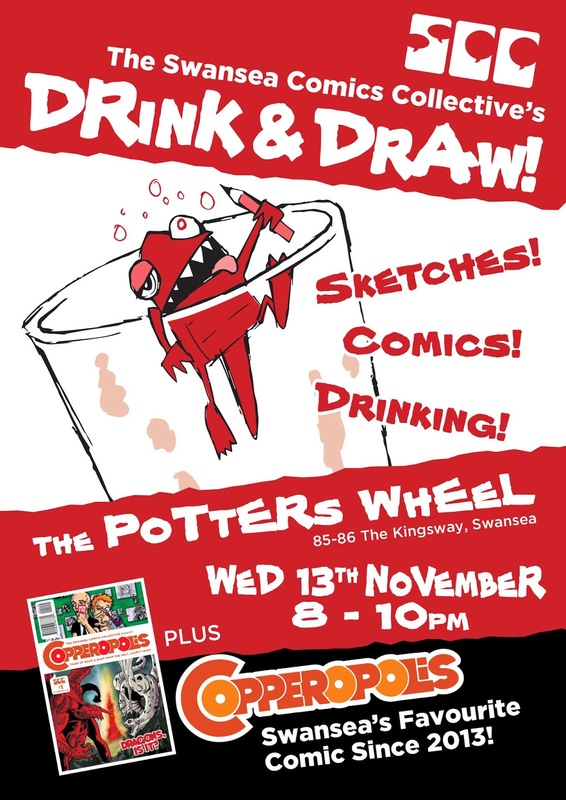 For those who missed it don't despair we will be back at the Potters Wheel on the 11th of December for Drink and Draw 2: Drink Harder!